ICH Blog: When Your Boy Comes Back To You - more WWI-era sheet music! When Your Boy Comes Back To You - more WWI-era sheet music! We posted last week about finding a copy of the 1916 First World War sheet music "The Sweethearts That We Left In Newfoundland" here in the Heritage Foundation of NL office. 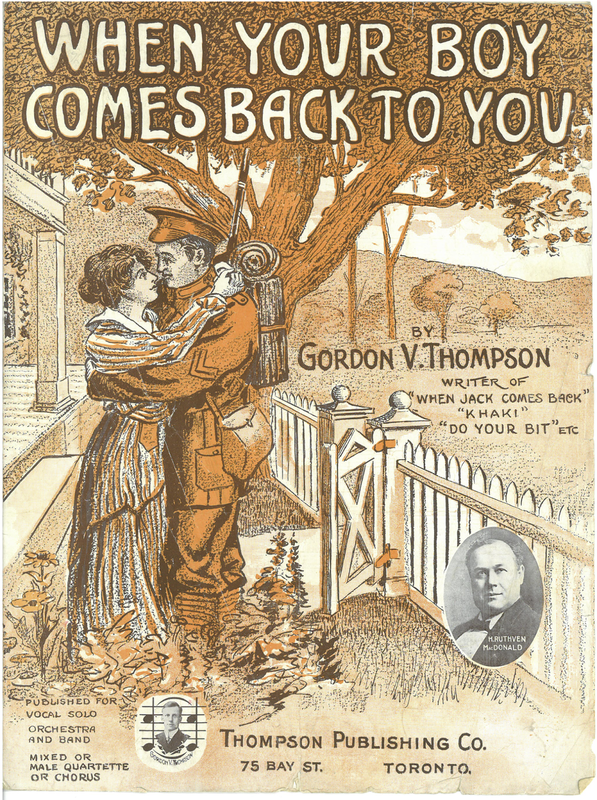 This week, we bring you the second of our finds, a piece entitled "When Your Boy Comes Back To You" by Gordon V. Thompson, dated 1916, published by the Thompson Publishing Co, 75 Bay Street, Toronto. Till your boy comes back to you! Just to welcome him at last? When your boy comes back to you! You will share that glory too! Download a pdf copy of the sheet music here.